When I was a kid growing up in the 1980s, my parents drilled into my head, “Go to college to get a good job.” The implication being, if I earned a four-year degree, a good paying job would follow. The interpretation is very different from within the academic world according to college educators I speak to. Within academia, the position of many educational facilities is that universities are places of higher learning. Not job readiness institutions. There is a gap in perception in the minds of many parents and students. Parents and students believe they are in a better position in the job market by pursuing a four-year year degree. They are not considering the potential mountain of college debt which comes with the education. 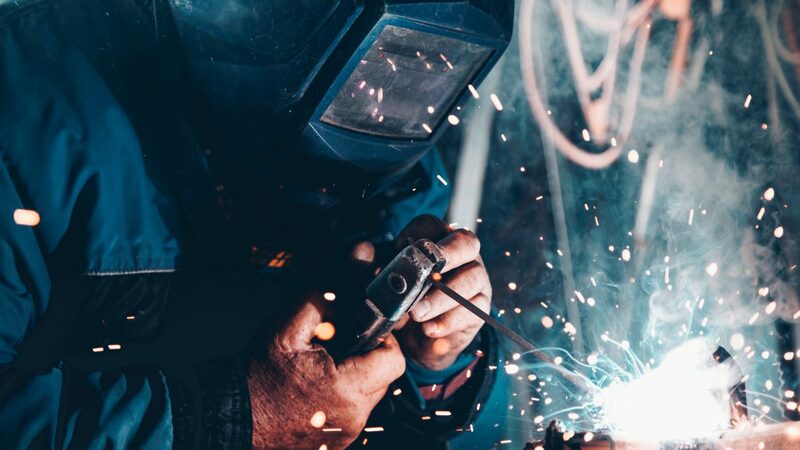 Unless a student earns a four-year degree in a skilled profession, one can argue they are served best by attending a vocational school to prepare for a career. Standardized tests do not measure other forms of intelligence. Colleges focus on teaching critical thinking. Vocational schools focus on learning essential skills. We believe, “smart people go to college.” The discussion not happening, many “smart” people never attend a traditional university. For example, let’s consider the person with a liberal arts degree from an Ivy League school, who has taken classes in philosophy and poetry. Their average income, according to PayScale.com, is $44,000. Now, imagine one day that person comes home from work and has a burst pipe in their basement. They need to call a plumber. The plumber, who works with his hands has to be “smart” to be able to practice their craft. They must be able to use problem-solving skills. In all likelihood, the tradesperson is doing a job many college graduates believe is beneath them. Ironically, the plumber makes more money than the liberal arts degree holder. Without having student loans to pay back. According to U.S. News & World Report, the plumber earns an average of $54,620 annually. The plumber is making a salary $11,000 more than the college graduate. As a society, do Americans value the right things? Colleges market themselves as building “the leaders of tomorrow.” Which, at face value is not a bad thing. However, in this scenario, there is limited space at the top. Consequently, leaders need people to lead. People who will do the day-to-day work. As a society, do Americans value the right things? For instance, many look down upon people who do not have a four-year college degree until they need them. For example, when the air conditioning breaks down, the HVAC guy is a “savior.” Or, when the car breaks down, a certified mechanic who fixes the issue is “great guy” at that moment. Many parents do not encourage their kids to go into a skilled trade that provides societal value. 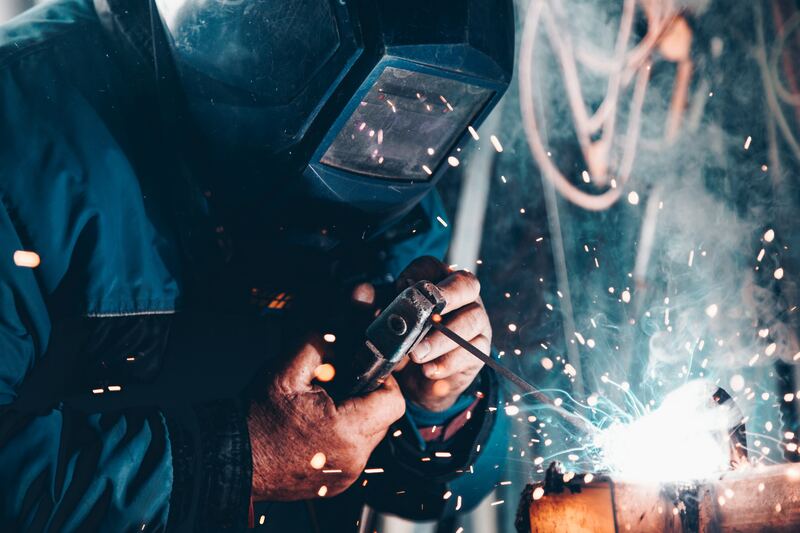 Skilled trades jobs are outdated and going by the wayside, many parents believe. Although, the demographic data does not support this assumption. The staffing company Adecco recently released an article demonstrating baby boomers are the majority of the skilled labor sector. Creating career opportunities for millennials when they soon retire. In 2012, 53 percent of the skilled labor workforce was over 45 years old. By 2020, there will be 31 million positions vacant due to retiring baby boomers. More young people are needed in the skilled trades workforce. 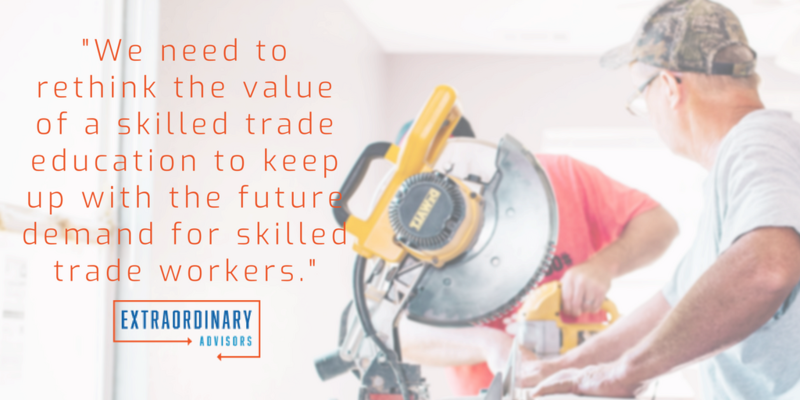 The median wage of $20.25 per hour for a skilled trades worker. It is time for society to re-define “smart”, because of the current and future need for a skilled trades workforce. What other hidden opportunities are there in education for the next ten years? I’d love if you joined our conversation on Twitter.